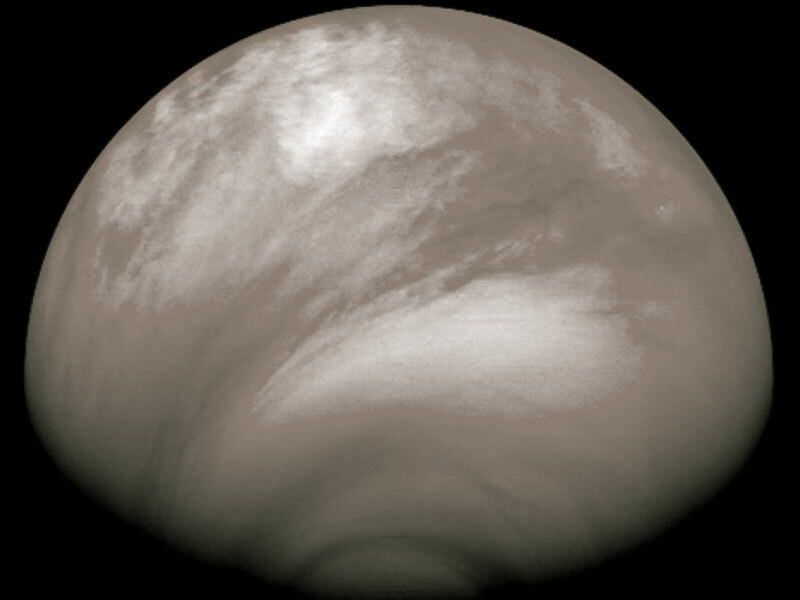 Explanation: Why did an acidic haze spread across Venus? The unusual clouds were discovered last July by ESA's robotic Venus Express spacecraft currently orbiting Venus. The bright and smooth haze was found by Venus Express to be rich in sulfuric acid, created when an unknown process lifted water vapor and sulphur dioxide from lower levels into Venus' upper atmosphere. There, sunlight broke these molecules apart and some of them recombined into the volatile sulfuric acid. Over the course of just a few days last July, the smooth acidic clouds spread from the South Pole of Venus across half the planet. 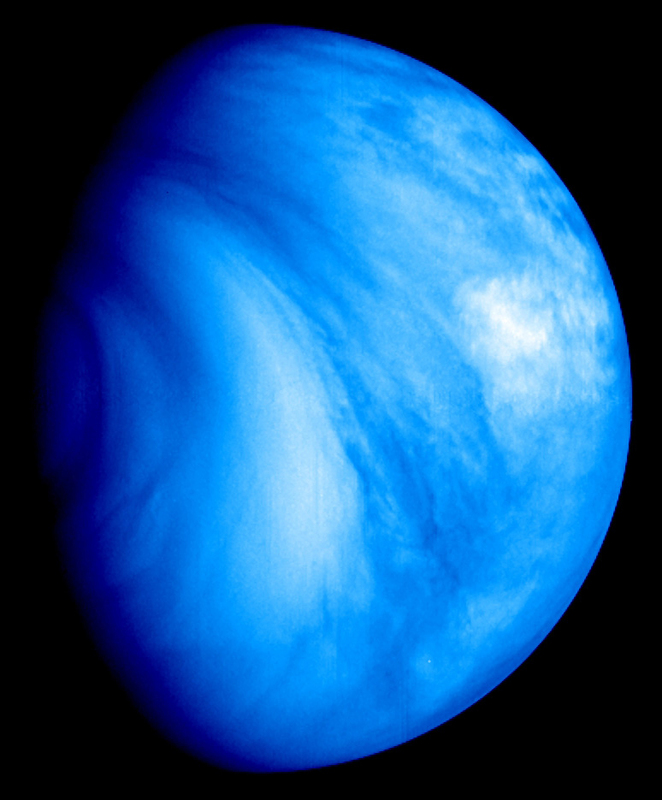 The above false-color picture of Venus was taken last July 23rd in ultraviolet light, and shows the unusual haze as relatively smooth regions across the image bottom. The cause of the dark streaks in the clouds is also not yet understood and is being researched.